From unique museums, such as the Mobile Museum of Art, the History Museum of Mobile, University of South Alabama Archaeology Museum and the Mobile Carnival Museum, to beautiful botanical gardens and great restaurants, Mobile, Alabama, is a fun place to visit. 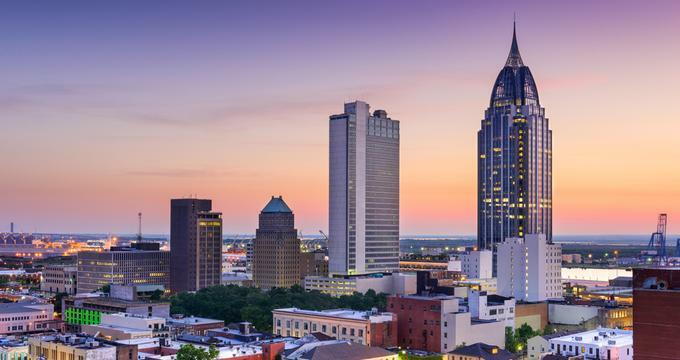 Top things to do in Mobile, Alabama for couples include the beautiful Bragg-Mitchell Mansion, the Richards DAR House Museum and other historic attractions. Located in Langan Park, the Mobile Museum of Art is the largest art museum in the region, housing a permanent collection of over 10,000 works of art, spanning more than two thousand years. The museum also features a range of regional art exhibits and traveling exhibitions that rotate on a regular basis. Aiming to enrich and inspire lives through the beauty of visual art, the museum collects and exhibits art for the fundamental purpose of education. Genres range from historical to contemporary across a variety of regions, including Europe, Asia, the Americas, and non-western regions. The museum also boasts a variety of diverse educational programs, community-based projects, and art classes and workshops. 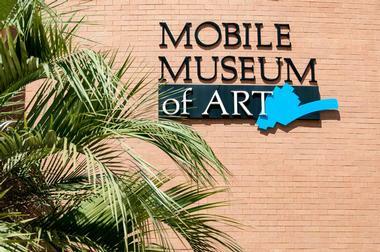 The Mobile Museum of Art is one of the top Mobile, Alabama attractions. GulfQuest National Maritime Museum of the Gulf of Mexico is devoted to presenting the maritime heritage of the Gulf Coast. Planning for this museum began as early as the 1990s when state and local leaders started to talk about building a hands-on facility to educate visitors about the Gulf of Mexico. Constructed between 2010 and 2015, the museum features displays, exhibits, and theaters. Displays and exhibits include America’s Sea, Tools of the Trade, and many more. Some of the theaters are Take the Helm Theater and Discovery Hull Theater. There are also observation decks called Bridge Wings. If you are wondering what to do in what to do in Mobile, Alabama with kids on a rainy day, this is a great place to visit. 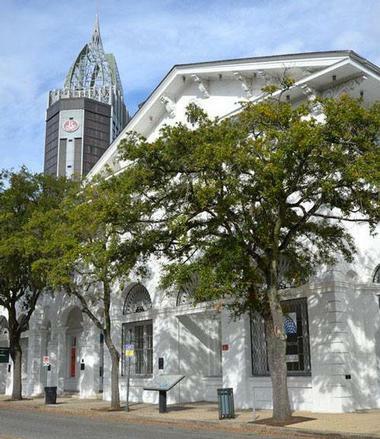 Housed in the Southern Market/Old City Hall National Historic Landmark, the History Museum of Mobile explores the history and heritage of Mobile as well as the life and times of this Gulf Coast City. Built between 1855 and 1857, and designed in the Italianate style of architecture, the museum chronicles and showcases 300 years of Mobile history. Detailed permanent, temporary and special exhibits are rotated periodically, and a number of education programs and workshops invite students and visitors to become more involved. Located in downtown Mobile, the Gulf Coast Exploreum Science Center features over 150 hands-on science adventures that promote science learning through exploration and discovery. Three permanent galleries boast an array of striking exhibits, presentations, interactive workshops, demonstrations and IMAX films, as well as family-friendly traveling exhibits that provide themed educational programming. The science center houses “My BodyWorks”health exhibit which teaches about anatomy, nutrition and exercise in fun-filled, interactive ways. If you are wondering what to do in Mobile with kids, this is a great place to visit. 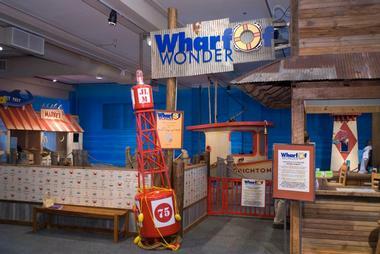 Other permanent exhibits include “Hands on the Wall”, where visitors explore the mechanics of magnetism, and “The Wharf of Wonder”, a specially designed display for young children up to five years old. Visitors can also enjoy demonstrations or workshops in new ExploreTEC lab, the ChemLab, or the BioLab or watch a film in the J.L. Bedsole IMAX Theater. If you are looking for best things to do in Mobile Alabama with kids, this is a great stop. Conveniently located in the Oakleigh Garden Historic District, Kitchen on George serves fresh, locally sourced and sustainable American cuisine accompanied by friendly, welcoming service that makes it one of Mobile’s favorite eateries. Kitchen on George’s menu focuses on farm-to-table fare, creating dishes sourced from local farmers and producers, ensuring super fresh and feasible food. The Kitchen serves a lunch, dinner and Sunday brunch menu, which includes favorites such as deviled eggs and pork loin, as well as the latest addition of Executive Chef Gillian Clark’s famous golden Southern fried chicken. 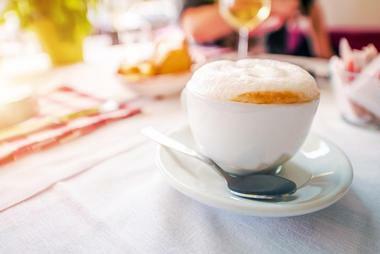 Dishes are accompanied by an extensive beer, wine and craft cocktails list, with a broad range of tipple to suit every taste. 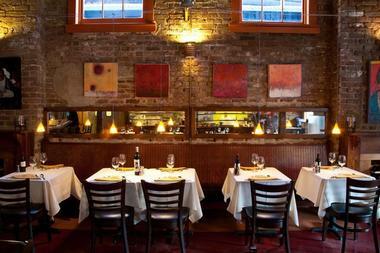 If you are looking for romantic date night ideas in Mobile, Kitchen on George is a great choice. Located in the Hook & Ladder Company No. 1 firehouse, Firehouse Wine Bar & Shop offers a wide variety of wines by the glass and bottle, and craft beers, both bottled and on tap. Relax at the custom-designed copper bar or in the semi-private back room. Enjoy a range of vintages from select regions and grapes, or head to the store to shop for your favorite wine from over 100 different varieties of wines and beers. Firehouse Wine Bar & Shop possesses a distinct southern flair, specializing in wines from South Africa, South America, Australia and New Zealand. Featuring wines from some of the best up-and-coming vineyards, as well as renowned varietals, the Firehouse Wine Bar also serves a delicious South-African based menu of small plates and appetizers. Built in 1855, the Bragg-Mitchell Mansion is a beautifully preserved example of antebellum architecture and offers a rare glimpse into life in the Old South. Once a center for the lively social life of Mobile’s thriving cotton port, the magnificent building now stands as a museum that welcomes the public and offers guided historical tours. Resting in the canopied shade of century-old oaks, the Mansion was built in the Greek Revival style. It boasts exquisite interiors of vast double parlors, grand rooms adorned with fine antiques and crystal chandeliers, and elegant circular staircases. Exuding a traditional charm akin to the South, the Mansion is available for special events, such as weddings, parties, balls and dinners. Moe's Original Bar B Que is famous for serving classic Southern soul food in a relaxed, casual atmosphere. Founded by three friends, Moe's Original Bar B Que finds its humble beginnings in a junkyard pit and has since grown to a chain of 37 restaurants across ten states. Boasting an “all- things Southern, Alabama BBQ experience”, Moe's serves award-winning pulled pork, turkey, wings, ribs and chicken slow smoked over hardwood. Mouthwatering sauces add a special touch to meals while sides and desserts desserts are served fresh daily. 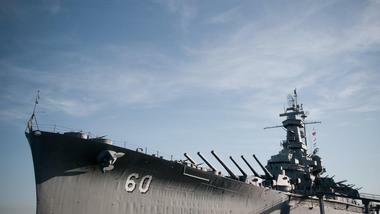 USS ALABAMA is a historic World War II museum ship that is listed as a U.S. National Historic Landmark. Construction of the ship began in 1940 in Norfolk, VA and it was launched and commissioned in 1942. During World War II, the battleship served in both the Atlantic and the Pacific Oceans. Decommissioned in 1947, it opened as a museum ship in 1965. Visitors can tour parts of the historic ship; these areas include the anti-aircraft guns, the powder magazine, and the inside of the main gun turrets. The battleship has served as a hurricane shelter several times, including during Hurricane Katrina. After a major restoration, the museum reopened in 2006. The Mobile Carnival Museum highlights the birthplace and history of Mardi Gras with excellent collections, displays and presentations about the history and tradition of the carnival. Housed in the historic Bernstein-Bush mansion, the museum chronicles over 300 years of Mardi Gras in Mobile. Explore the heritage and background of the festival, costume design and float construction, and the celebration of past Mardi Gras coronations. Museum exhibitions and collections include the Queen's Gallery, which boasts exquisite gowns, trains and jewels worn by the queens of Carnival; the breathtaking attire of the 1920s flapper queen and several jesters; and original Mardi Gras art and posters, tableau designs, ball invitations and doubloons. Explore the museum's interactive exhibits, such as a ride where visitors can throw doubloons from a carnival float. 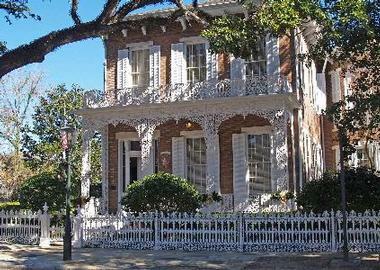 Famous for its cast-iron façade depicting the four seasons, the Richards DAR House Museum is one of Mobile’s finest examples of Italianate style architecture and is listed on the National Register of Historic Places. 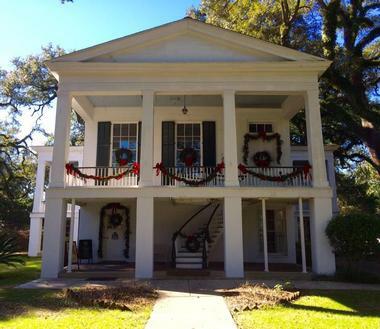 Built in 1860 by famous steamboat Captain Charles G. Richards, the beautifully preserved house echoes a time gone by, telling the story of Mobile during the height of the antebellum age. The house, which now serves as a public museum, features a grandiose reception hall with spectacular brass and bronze chandeliers, immense parlors with marble mantels and silver staff bells, and one of the largest crystal chandeliers in the city. The house not only attracts visitors to admire its striking architecture and beautiful interiors, but also to test the rumors of the site’s haunting by a a ghostly figure that appears in an upstairs bedroom window accompanied by the singing of childlike voices. The Alabama Contemporary Art Center is dedicated to exhibiting important contemporary works of art. 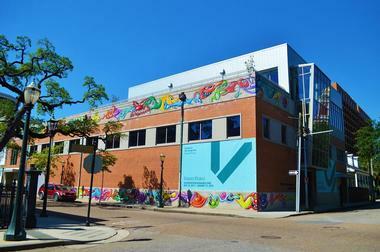 It was founded in 1999 and was formerly known as the Centre for the Living Arts. Although the center presents pieces of artwork from around the world, it focuses on art that is based on themes from the Gulf Coast. The center offers a variety of educational outreach programs including tours of the facility for students of all ages. Programs for children include Pre-K Studio and Kids Studio, a weekly program for children ages 6 to 13. The University of South Alabama Archaeology Museum features objects and artifacts from the Gulf Coast and is located on the campus of the University of Alabama in Mobile. These artifacts span more than 12,000 years of prehistory and history and some of the museum’s exhibits display life-size models of archaeologists at work. Other exhibits use life-size models to show life in different periods of history from prehistoric cultures, early European settlers, and post-American Civil War African Americans. 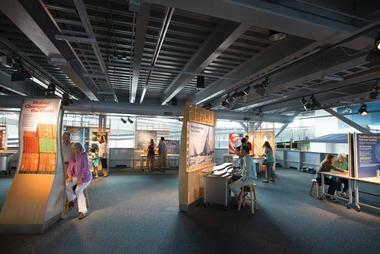 The museum hosts temporary exhibits and events such as a lecture series, and more. Admission is free. Founded in 1974, the Mobile Botanical Gardens can be found on Museum Drive in the Spring Hill community and feature a beautiful blend of natural habitats with cultivated areas for locals and visitors to enjoy. Stroll through a range of diverse flora, such as the Rhododendron Garden, which contains over 1,000 evergreen and native azaleas; the Camellia Wintergarden, a collection of over 500 camellias; and a beautifully manicured Japanese Maple Garden. The Gardens’ Longleaf Pine haven is a particular area that contains a well-preserved remnant of the great Southern longleaf pine ecosystem that once dominated the American South. The Mobile Botanical Gardens offer guided garden walks where expert botanists and naturalists will share their knowledge and passion about the local flora with visitors as well as a variety of Garden program activities, talks, and workshops. 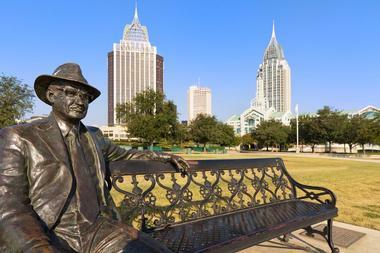 If you are looking for top attractions in Mobile AL, this is a great spot to visit. 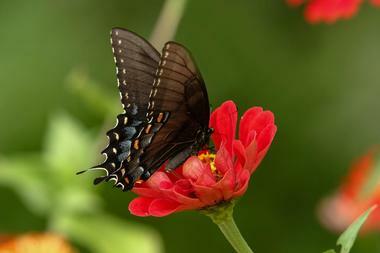 More weekend ideas Best Things to Do in Huntsville, Alabama with Kids. Dauphin Street is a historic district in downtown Mobile that consists of many buildings from the 1820s to the 20th century; architectural styles include Federal, Greek Revival, Italianate, Queen Anne, and others. Mobile was founded by the French in the early 18th century. Dauphin Street was named after the son of King Louis XIV and this street became the main commercial street of the city. In 1839, a fire destroyed many of the wooden buildings that had been built in the Federal style. During reconstruction, many structures were built in the Victorian styles of architecture seen today. Bienville Square is a tranquil square with trees, benches, fountain, and a bandstand. Located on Dauphin Street in historic downtown Mobile, Crescent Theater presents independent films, live performances, and locally-produced films. The theater originally opened in 1885 as a vaudeville theater and switched to a movie theater in 1912. Rebuilt in 2008, the theater plays an important role in the Entertainment District and the LoDa Arts. 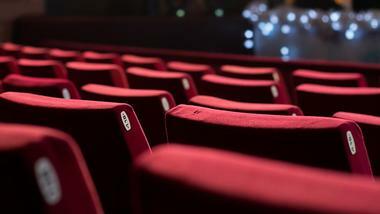 With a seating capacity of 90 people, the theater screens art-house films that are not shown at other standard movie theaters in the Mobile area. The live performances include improvisation comedy troupes, live music concerts, radio plays, and more. The theater also hosts the SoAL Film Festival and the Mobile Bay Film Scramble. Mobile Bay is an inlet of the Gulf of Mexico and an estuary that extends from the entrance of the Mobile River and the Tensaw River in the north southwards to the mouth of the bay at the Fort Morgan Peninsula on a barrier island named Dauphin Island. At 413 square miles, Mobile Bay is the fourth largest bay in the United States. The bay is known for an unusual annual natural occurrence: in the summer, fish and crustaceans swim close to the shoreline and are easily caught. This is called a “jubilee” and Mobile Bay is the only place in the world where this happens on a regular basis. Fort Conde is a 4/5 scale reconstruction of the original early 18th century French Fort Conde. In 1702, the French founded a settlement which they called Fort Louis de la Mobile. In 1723, a brick fort was built that protected the citizens of Mobile for about 100 years. Later it was owned by the British and after that by the Spanish. In the 1820s, the U.S. Congress ordered its sale and removal and shortly afterwards it was demolished. The original fort sat on 11 acres of land, therefore a full-size reconstruction was not possible because of the area it would cover in downtown Mobile. The reconstructed fort opened on July 4, 1976. Historic Oakleigh House is the main attraction in the Oakleigh Historic Complex that also includes barracks, a working-class cottage, and a modern archives building. The name of the house comes from the word “oak” and the word “lea” which is an Anglo-Saxon word meaning meadow. Built in 1833 in the Greek Revival style, the house is an example of a raised galleried house with the second floor served as living quarters. It is one of the largest t-shaped houses in Alabama. This shape allowed for cross-ventilation in the hot, humid climate. 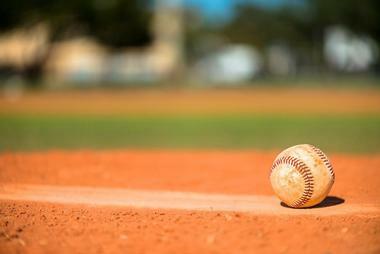 Hank Aaron Stadium is a baseball park named after Major League Baseball’s home run king, record-breaking Hall of Famer, and Mobile native Hank Aaron. Opened in 1997, Aaron threw the first pitch while his family stood nearby. This was the first time a minor league baseball game was played in Mobile in 27 years. Nicknamed “The Hank,” the stadium has a capacity of 6,000 and is the home of the Mobile BayBears, a minor-league professional team. The configuration of the stadium is unique in that the 23 luxury suites are located at field level and infield general public seating is elevated. 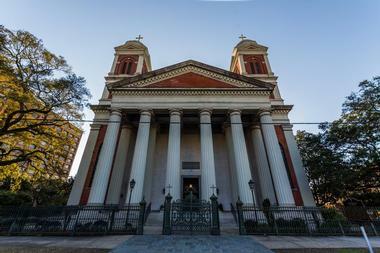 The Cathedral Basilica of the Immaculate Conception is a Roman Catholic cathedral located on South Claiborne Street. As early as 1703, a cathedral parish was founded in Mobile that was known as Notre Dame de la Mobile. There were several small churches that were built over the ensuing years and the current cathedral was built between 1835 and 1850. During the 1870s, the portico with its eight huge columns was added and the two towers were completed in 1884. The cathedral has been restored several times, including in 1954 and during the decade of the 2000s. The stained glass windows are one of the major attractions of the cathedral: they were made in Munich, Germany, and installed between 1890 and 1910. Consisting of more than 500 acres of natural habitats, the Environmental Studies Center is an education facility that focuses on the natural sciences, wildlife rehabilitation, and education. 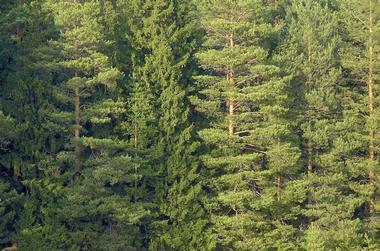 The natural habitats include bay forests, a carnivorous plant bog, pine forests, swamps, a lake and streams. Outdoor facilities include a native plant garden, live animal exhibits, a butterfly garden, covered pavilions, and walking trails. The center has indoor facilities such as classrooms with live animal exhibits, a saltwater aquarium, a library, and an auditorium. The center offers education outreach programs to schools as well as summer camps. If you are looking for fun things to do in Mobile AL with kids, this is a great place to visit. The Mobile Medical Museum is a history museum dedicated to preserving and presenting medical documents and artifacts. Established in 1962, Patricia Heustis Paterson donated 100 documents and artifacts in memory of her father, James F. Heustis, a well-known physician in Mobile. 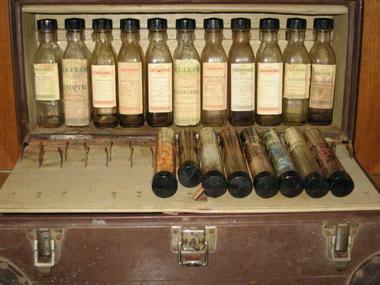 The museum’s collection is extensive; the documents include authentic letters and teaching materials while the artifacts are made up of medical equipment, instruments, photographs, and other objects. The museum changed locations several times until the University of South Alabama renovated the historic Vincent/Doan house in 2003. This location is at the entrance to Children’s Park and makes the museum more accessible to the public. Based in the Little Turf Club on North Jackson Street, a renowned venue that was once one of downtown Mobile's most legendary bars, Noja is Mobile's newest sensation in sophisticated dining. Stylish décor and ironwork that echoes a contemporary New Orleans-style, rustic red brick walls create a warm and welcoming ambiance. NoJa’s menu features an eclectic fusion of savory Mediterranean, Asian and modern Gulf Coast flavors, lovingly termed ‘Mediterasian’ by chef/owner Chakli Diggs. An alluring wine list and selection of handcrafted cocktails perfectly complements the seasonal, locally sourced dishes. Established in 1970, the Mobile Symphony Orchestra was initially called the Symphony Concerts of Mobile; the name was changed to Mobile Symphony Orchestra in 1997 and it held its first concert season in 1998. The Larkins Music Center is made up of a recital hall, practice rooms, meeting facilities, and office space. It is connected to the historic 1927 Mobile Saenger Theater which is the official home of the orchestra. 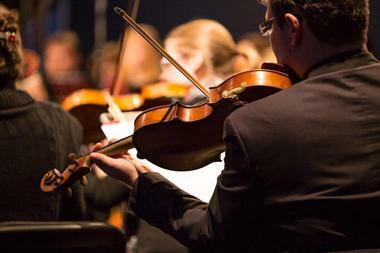 In addition to its six annual classical music concerts, the orchestra also performs three “pops” concerts and has a youth orchestra. If you are looking for unique date night ideas in Mobile, watch a performance by the Mobile Symphony Orchestra.